The one-on-one between the sales manager and the salesperson seems to either be a sacred hyper-helpful experience, or a total waste of time for both. I firmly believe this is a vital part of being a great sales manager, and to running the modern sales organization, but far too many people just don’t do it right. One common misconception I hear from sales managers is that they already talk to their salespeople every day, and know everything that’s going on. So why do I need a one-on-one? The primary benefit is that both the sales manager and the salesperson need to have time carved out where they can BOTH pull themselves away from the daily whirlwind to focus on what’s going well, what needs help, re-assess the plan, and have an opportunity to just talk openly about anything. Those are things that just can’t happen when you’re running around during the week. And they are vital. Here’s a few practical tips on how to make your one-on-ones great. Set a Schedule – As far as frequency and duration, I’ve always been partial to a weekly 30-minute meeting, though I know some prefer 60-minutes every other week. I like the weekly because in the off chance that you miss one for some reason, you don’t run the risk of going 2 to 3-weeks before one happens. Plus 30-minutes forces you both to be crisp. Stick to the Schedule – Set a schedule and stick to it. When I say stick to it, I don’t mean that it always has to be on the same day at the same time no matter what. I just mean that if a conflict comes up, reschedule it – and do so ahead of time, not 10 minutes after the meeting was supposed to happen. Salesperson Brings the Agenda – Tell your salesperson that the time is meant for them, so you expect them to come to the meeting with an agenda. When the meeting starts, you want them to take control. You’ll be amazed at how consistently your salespeople come with solid topics – especially if you haven’t done this before. There’s stuff going on in their head that you otherwise wouldn’t know about. Bring Your Discussion Points – Generally, it’s good to come with a topic or two of your own. Just jot down a couple points in your notebook, or a note service like Evernote or Wunderlist. When you come with topics, it shows that you are thinking about them ahead of time, and communicates that you count on this scheduled time to review topics together. It’s one more reason not to miss it. 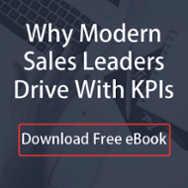 Review Sales KPI’s – Defining your sales teams key metrics and sales KPI’s is crucial to running your business, and the one-on-one is the time to quickly review together. This is a chance to step back and review together if your salespeople are firing on all cylinders. For example, are they having enough VP-level meetings, identifying enough new opportunities, sending out enough proposals, etc. These are all key things that need to be happening day-in-and-day out, and it’s easy to let them slip. The one-on-one is a perfect place to pause and review, and course correct, if necessary. Review the Pipeline – This is the obvious one, and often times is the ONLY thing reviewed at a one-on-one, which is probably the biggest mistake. You need to go over this for sure, among other topics noted above. Some even just review it quickly in the one-on-one, and then have a separate team meeting that’s only focused on pipeline review so you have more time and can discuss as a group. One-on-ones are far too often put on the back-burner. But I can assure you, if you do them the right way, they’ll become one of the most productive and critical things you do as a manager. So why do I need a one-on-one? The modern sales manager holds these meetings sacred. Here's why you should too.